Coming Soon! 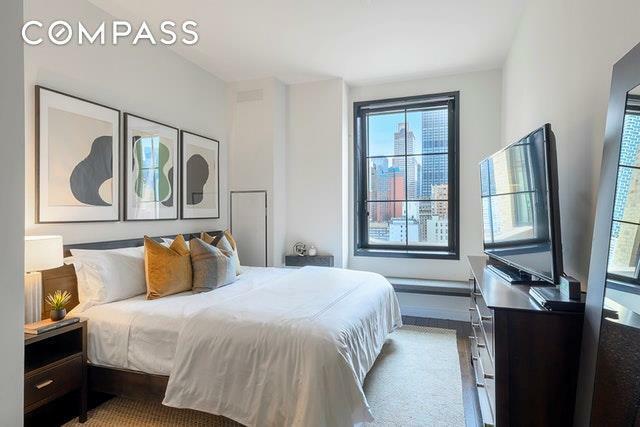 This oversized one bedroom spans 918 square feet and offers soaring 11' ceilings in a gracious one bedroom layout with one full bath and powder room. Beautiful Eastern exposures showcase dramatic views of the Manhattan skyline presented through custom oversized tilt-and-turn windows complete with custom electric shades. The open kitchen includes handcrafted, custom Smallbone of Devizes European Oak cabinetry, polished concrete countertops, and Miele appliances. 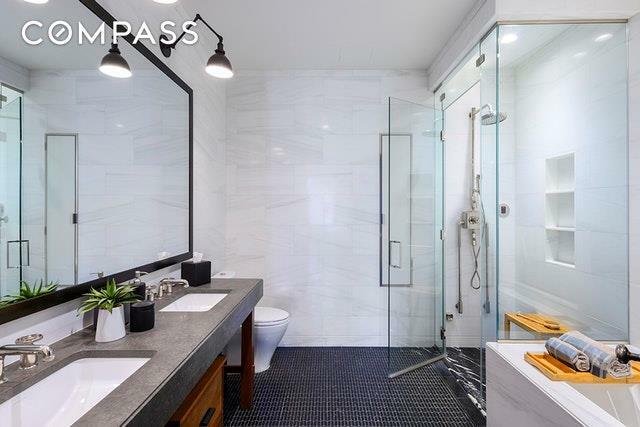 The large master bedroom suite features ample closet space fully outfitted with California Closets and bathroom complete with double sinks, radiant floor heating, glass enclosed steam shower and cast iron soaking tub. 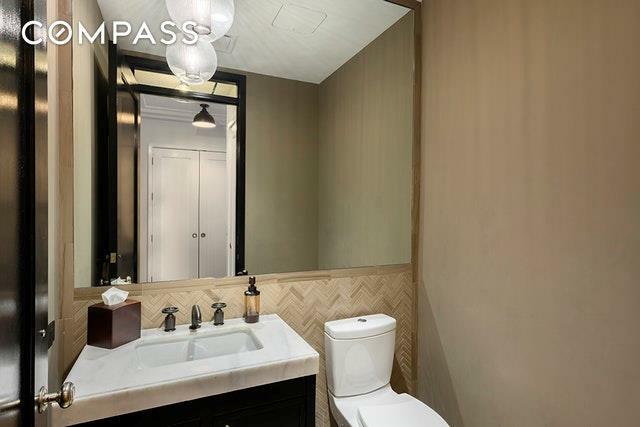 The powder bath features an alabaster sink with custom vanity and chevron floor tile. The residence is complete with a Bosch washer and dryer as well as a self-contained, zoned HVAC system regulated by a Nest Learning Thermostat. Additional apartment details include custom hand-laid oak flooring, solid wood doors, Nanz hardware and Waterworks R.W. Atlas fixtures throughout. Originally designed in 1927 by Ralph Walker for the New York Telephone Company, Stella Tower is composed of solid pre-war construction and quintessential art deco ornamentation. The amenities package includes a 24-hour attended lobby, fitness center, residents' lounge, outdoor garden, bicycle storage, and temperature-controlled grocery storage. 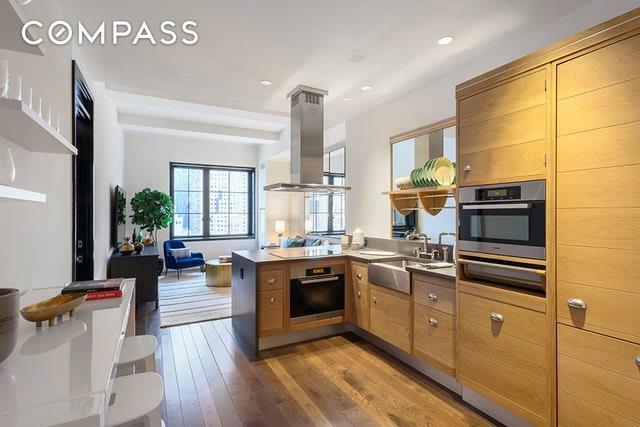 Hell's kitchen is a dramatic, burgeoning neighborhood with incredible restaurants, vibrant theater scene and a multiple subway lines.